As Kimberly blogged about recently, SQLskills is embarking on a new initiative to blog about basic topics, which we’re calling SQL101. We’ll all be blogging about things that we often see done incorrectly, technologies used the wrong way, or where there are many misunderstandings that lead to serious problems. If you want to find all of our SQLskills SQL101 blog posts, check out SQLskills.com/help/SQL101. At the spring SQLintersection conference in Orlando, one of the attendees asked me a question about why a query wouldn’t go parallel even though the cost for the plan was in the hundreds. There are actually a number of different reasons why a query might execute serially, but usually one of the first things that comes to mind is scalar user defined functions. Developers love to use scalar user defined functions inside of SQL Server because it lets them compartmentalize code and easily reuse it, which is a common goal in object-oriented programming, but it’s also a performance anti-pattern for SQL Server as I’ll demonstrate in this post. For the sake of argument, the scenario I am using is a presentation layer issue, and the argument can be made that this problem should be handled by the presentation/application tier to do the formatting requested. However, there could be scenarios where the same data is needed in more than one application, reports, API feeds, etc. 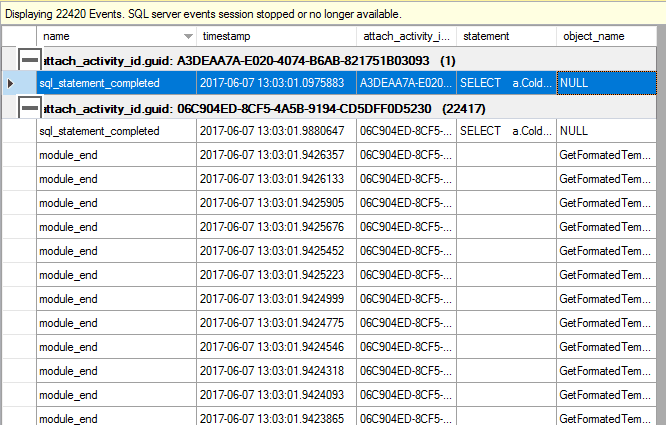 so for consistency the formatting is determined to be required for the SQL output. This is where a developer might write a function to handle the formatting so the code can be reused anytime we need to output temperature deltas to make sure that everything does it exactly the same way. CPU time = 1155 ms, elapsed time = 643 ms.
Before using the function, we had a parallel execution and after the plan is now serial. 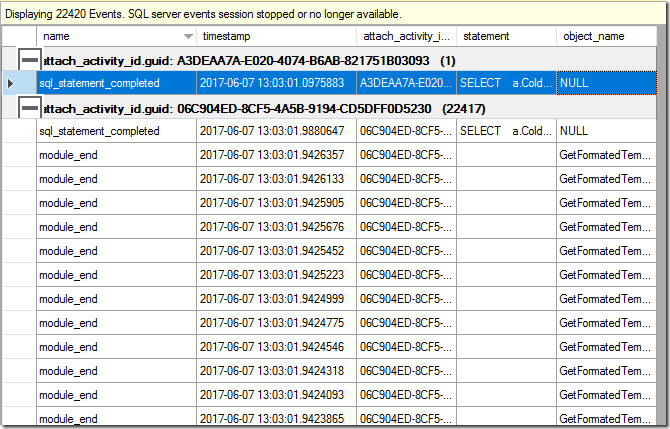 If we look at what happens for each statements execution with Extended Events using the sqlserver.sql_statement_completed and sqlserver.module_end events, filtered to my specific session_id and tracking how events relate to each other with TRACK_CAUSLITY=ON for the session, we’ll find that the function is executing for every row returned by the query, turning our set based operation into a RBAR (row-by-agonizing-row) operation. CPU time = 1233 ms, elapsed time = 676 ms. Here we have the fast execution time with a parallel plan but we are sacrificing the reuse of the code for other places where we might want to encapsulate the same logic. However, that doesn’t have to be the case since this logic can be done inline to the query, it can also be written into an inline-table valued function. CPU time = 1251 ms, elapsed time = 729 ms. Here we get the best of both worlds, a parallel execution plan and the ability to reuse this logic in other places where we need the formatted output. If you look closely at the plan and the Compute Scalar operator, you will find that it is identical to the plan with inline code shown above. As a consultant, I’ve done a lot of conversions of scalar user defined functions to inline table valued functions to resolve performance issues and improve code scalability for clients. This is a very common problem to see in engagements and understanding the impacts of scalar user defined functions to performance is important for fast performance and optimizing TSQL code. 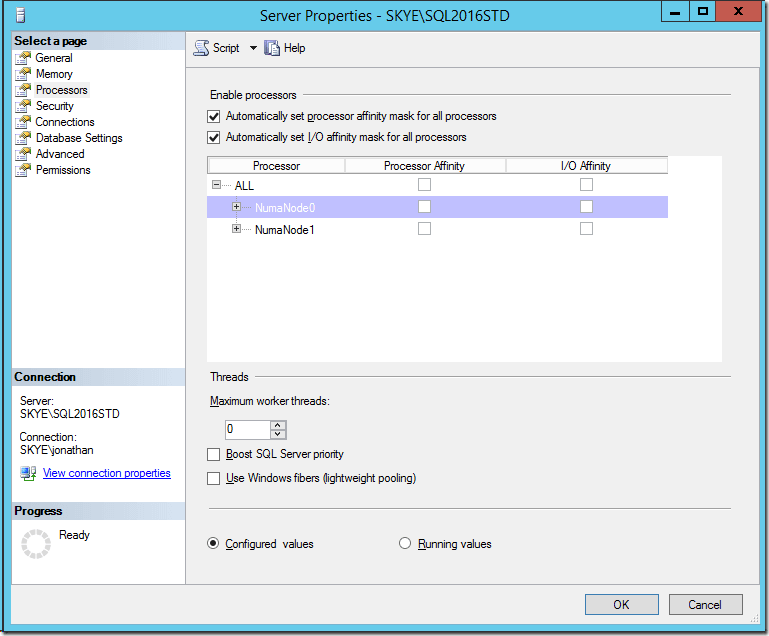 I’ve blogged about NUMA and SQL Server in the past and how SQLOS automatically handles NUMA configurations for SQL Server by default, meaning typically as a DBA you don’t need to customize any configuration options for SQL Server to optimize it’s internal structures for NUMA systems. I’ve also talked about vNUMA issues in virtual machines with Hot-Add CPU enabled and how that affects performance. While speaking at the SQLintersection conference this week an attendee came up to me and asked if NUMA support in SQLOS was Edition specific in SQL Server. 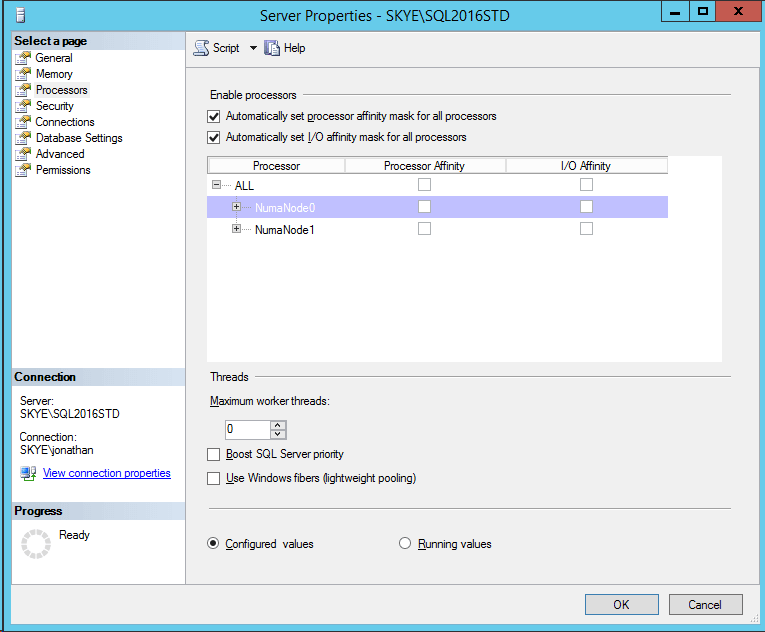 It’s not an Edition-specific feature, SQLOS configures the internal structures of SQL Server when it boots based on the hardware NUMA layout being presented by the Windows OS, regardless of the Edition of SQL Server that is running. The attendee then pulled up a blog post recently published that stated that “NUMA awareness is an Enterprise Edition feature” in SQL Server; unfortunately that blog post (extract below) is incorrect. With anything on the internet, including this blog, you need to verify the information before you trust it if actual tests and verification aren’t provided. Even if the information provides a demonstration or reproduction that shows a particular behavior, you need to look at the version and time-frame for when the information was published because things change constantly in technology and what was accurate a year ago may not be accurate today. 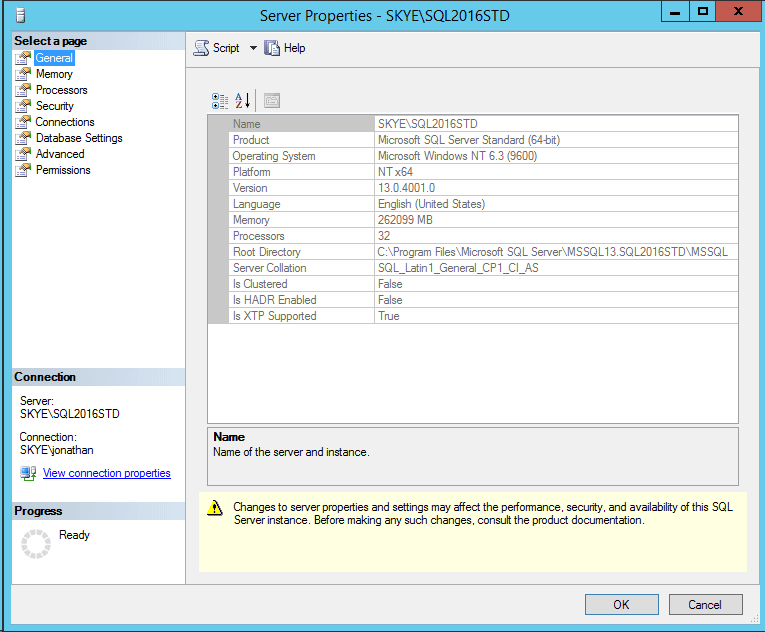 So to demonstrate that SQL Server Standard Edition will recognize NUMA configurations, here are two screenshots from one of our lab servers at SQLskills. As you can see, this instance sees NUMA and has two NUMA nodes configured inside of SQLOS running Standard Edition. 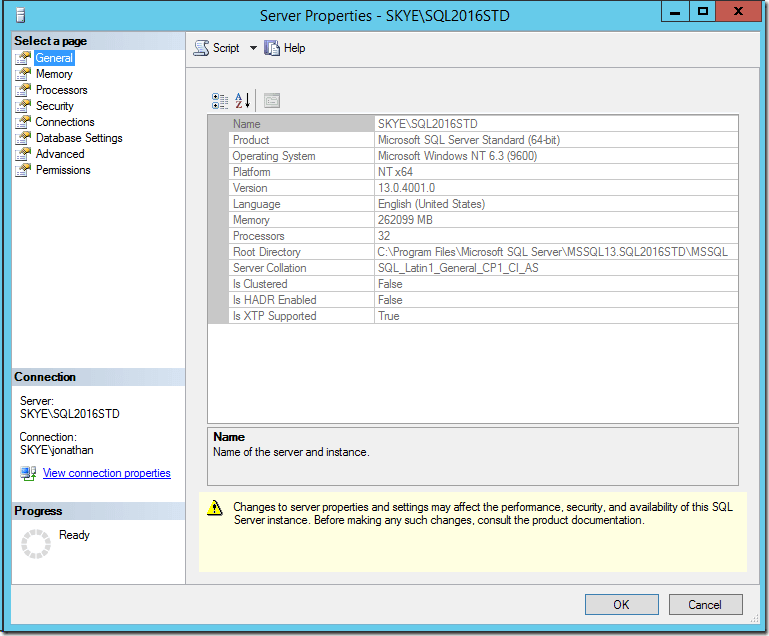 NUMA is not an Edition-specific feature in SQL Server and never has been. SQLOS optimizes the way the internal structures are created under NUMA for memory nodes (and CPU nodes) based on how the OS is presenting the hardware layout.